It was just a matter of time before it would be necessary for me to make a Gargantuan decision–airport x-ray or pat-down. What to do, what to do? (sweat, sweat, sweat). Uh…can I get the pat-down instead? 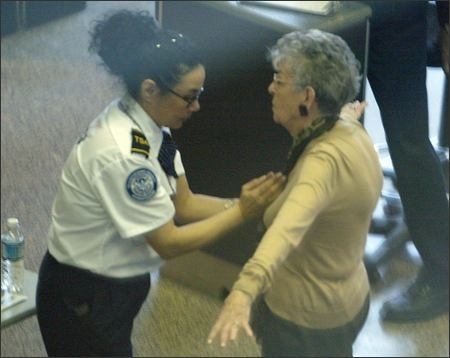 I guess the airport security would rather not have to actually do a pat-down, as it took a full 10-minutes (no exaggeration) to get the frisker to come a-friskin’. I’ve heard lots of talk amongst my chiropractic clients and on news shows that people were going to refuse the scanner…but not that afternoon. And I was again the only one to opt-out on my return from Houston’s Bush International airport. 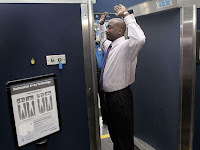 Now the Transportation Security Administration (TSA) reports that most Americans prefer the scanners to a pat-down. What the heck??? Are people really that trusting of the government? I’m no conspiracy theorist, but why would anybody want more radiation than they already get from the dentist and doctors? Duh! Perhaps people don’t understand that x-ray can lead to cancer. Did you ever wonder why they place lead shields on you when you get an x-ray? Frickin’ duh! And we don’t know if cumulative exposure increases risk. If it does, then every time you travel by air should put you at greater risk. Even worse is that studies have shown that men exposed to x-rays close to fertilization fathered children with heightened risk of developing leukemia. Still OK with it? Hey, it’s your life. With the pat-down, it was no different than a typical police search (not that I know anything about that!!!) Once my down-patter finally showed up (apologetic, of course), it was quick and painless. He asked if I was worried about the excess radiation. I said yes. He said he understood–he was worried about his children getting brain cancer from cellphones. I told him he could probably stop worrying. 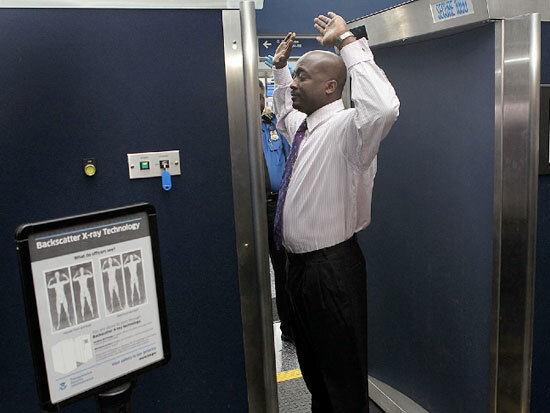 So, overall, I found the pat-down pretty simple. In a way I’m glad there weren’t many people waiting to get pat-down–it would have made my wait that much longer. But do I get it? Not really–but like I said…it’s your life.